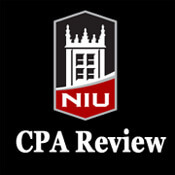 Back in the days when the CPA exam was a grueling pencil-and-paper event, students enrolled in the NIU CPA Review always knew that in the wee hours between the first and second day of testing, help was only a phone call away. “Debra would give them her phone number at the hotel and tell them to call her, even if it was 3 a.m. – and they would. She would get up, go down to the lobby and walk them through the material until they understood it,” said Mary Hamell, who served as her secretary for nearly 15 years. Such stories were making the rounds at the NIU College of Business, across campus and throughout the Chicago-area accounting community Tuesday as word spread that Hopkins died Monday in an automobile accident in Cherry Valley near Rockford. She was 62. Apparently, that was a common sentiment. Each year when test results were announced, Hopkins’ mailbox would overflow with cards and letters from successful candidates thanking her for her instruction and support. “She not only read every one of them, she replied to every one,” said Hamell, adding that Hopkins also spent countless hours on the phone consoling those who didn’t make the grade and urging them to try again. Hopkins first became involved with the program in 1985 when she was studying to receive her master’s of science in accounting at NIU and became a graduate assistant to John Simon, who led the review at that time. When he retired in 1990 and was asked who might be a good successor, Simon said that only one person came to mind: Hopkins. “If you had a list of 10 outstanding attributes for the perfect person to fill that job, Debra is the only person I can image who fit all 10 of them,” said Simon, who marveled at the passion and energy she brought to the job for 22 years. Her greatest gift, he said, was her ability to not only instill in students the belief that they could pass the exam, but also to motivate them to the point that they felt they would be letting her down personally if they did not. That was the case for Maureen McBeth, a former NIU instructor who currently leads the accounting program at the College of DuPage and teaches in the NIU CPA Review. That dedication to her craft took her around the world, literally, as she lectured or presented to businesses on four continents, typically on issues pertaining to audit and internal controls. 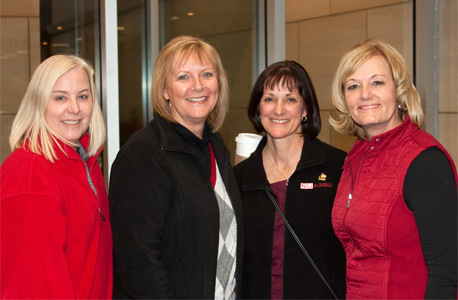 at the NIU College of Business 50th Anniversary celebration in 2011. At various times Hopkins served as an officer of the Illinois CPA Society, led the group’s audit committee, spent time as senior vice chair and ultimately chair of the board. In recognition of that work, and her contributions as an educator and practitioner, the organization presented her with its Lifetime Achievement Award in 2013. 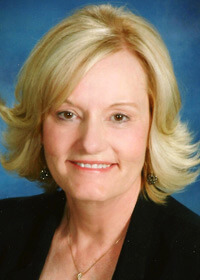 She had previously been named to the society’s list of Women to Watch and earned their Outstanding Educator Award in 1997. At NIU, she won the NIU Supportive Professional Staff Presidential Award for Excellence in 2007 and was named to a list of 25 Amazing Women by the NIU Presidential Commission on the Status of Women in 2006. She held a Bachelor of Business Administration from the University of Wisconsin at Oshkosh and a master’s in Accounting Science from NIU. She was a member of First Lutheran Church in DeKalb, serving on the church council, as its president and in many committees throughout the church. She also served on the National Bank & Trust Board of Directors in Sycamore, was an Audit Committee member since 2005 and was its Designated Financial Expert. Her passion for accountancy was exceeded only by her love for her family. She is survived by her husband, Roger; son, Tony (Amy) Hopkins of Pewaukee, Wisconsin, Daughter, Megan Rae Hopkins of Chicago; grandson, Greyson; brothers, John (Gettie) Anderson of Clintonville, Wisconsin, Richard (Nancy) Anderson of Iron Mountain, Michigan, and Andrew (Diane) Anderson of Hartford, Wisconsin; and several nieces and nephews. A memorial service will be held 1 p.m. Saturday, Sept 6, at First Lutheran Church, 324 N. Third St. in DeKalb, with the Rev. Dr. Janet Hunt officiating. Cremation is by Anderson Funeral Home Crematory. Visitation will be from 3 to 8 p.m. Friday, Sept. 5, at Anderson Funeral Home in DeKalb. In lieu of flowers, memorials can be made to the Debra Hopkins Memorial Fund, sent to the Hopkins Family in care of Anderson Funeral Home, P.O. Box 605, 2011 S. Fourth St., DeKalb, IL 60115.